alaTest has collected and analyzed 112 reviews of Samsung X460 Premium Blazor. The average rating for this product is 4.3/5, compared to an average rating of 4.1/5 for other products in the same category for all reviews. Reviewers are impressed by the durability and battery. The screen and design also get good comments. The price and image quality get negative views, while there are some mixed comments about the size. We analyzed user and expert ratings, product age and more factors. Compared to other products in the same category the Samsung X460 Premium Blazor is awarded an overall alaScore™ of 83/100 = Very good quality. We've seen the X360, how does its larger and cheaper 14.1 cousin, the X460, fare? Riyad gets his paws on a very early sample of Samsung's latest notebook, and is very impressed. The Samsung X460 is basically a Samsung X360 with upgraded parts (a slightly larger screen and a discrete GPU). It's even smartly priced considering what's on the table. The Samsung X460 is a stylish and well speced thin-and-light notebook. Its 14.1-inch LED display is excellent in most conditions and it offers an HDMI output. Its trackpad is far too small. 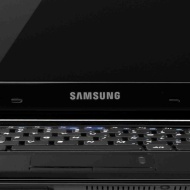 The Samsung X460 is a 14.1in thin-and-light all-purpose notebook that's perfectly road-ready. Very slim and lightweight; distinctive look; excellent battery life; solid brushed-metal construction; comfortable keyboard. Overpriced compared with comparable 14-inch laptops; you'll need to appreciate a black-and-red color scheme. If you want a thin-and-light 14-inch laptop or just love the distinctive look, the Samsung X460 is an impressive piece of hardware, but you'll find better value elsewhere. The Samsung X460-44P is a solidand stylishfirst offering into an already crowded U.S. laptop market.